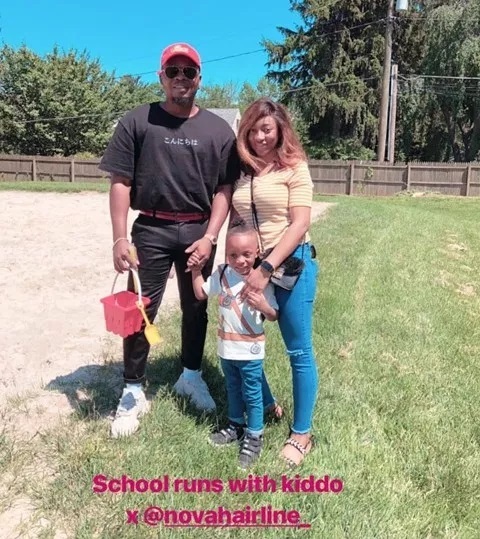 Nigerian rapper, Olamide Adedeji, popularly known by his stage name Olamide, has been pictured with his wife-to-be, Adebukunmi Aisha and their son Milli on a school run outside Nigeria. 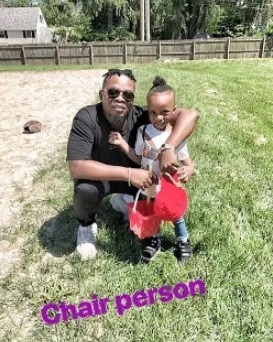 Nigerian rapper, Olamide, has been captured on camera as he stepped out with his fiancee, Adebukunmi Aisha and their son, Batifeori Maximiliano Adedeji, for what he called ‘school runs’. 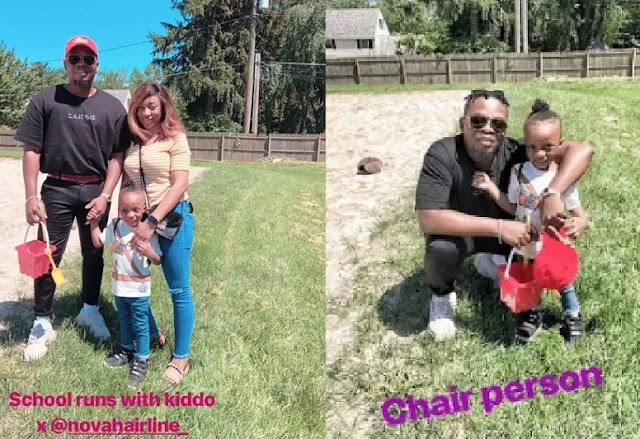 Olamide proposed to Bukunmi on her birthday in March this year. The couple who have been together for years now, and had welcomed their son, three years ago.